Descriptions : Blogger Store V2 Blogger Template is a continuation of the first version, there are some changes such as the number of columns, header, and the horizontal menu. 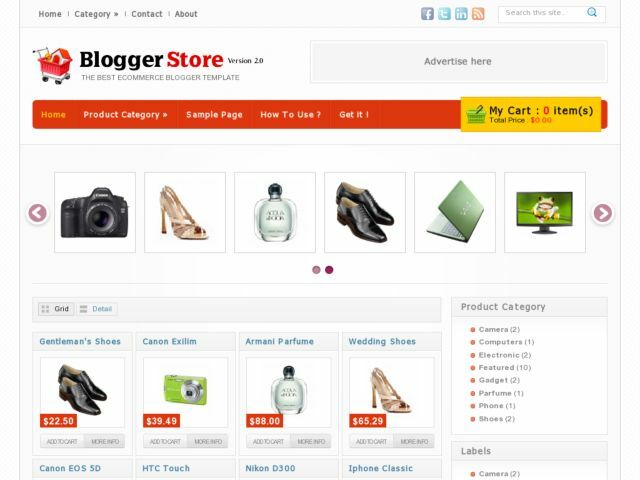 Blogger Store V2 is a template created for online store blog. Features : SimpleCart.js v2.2.2. with Paypal and Google Checkout, Animated ShoppingCart, Grid and List Style post integrated with jQuery Plugin, featured content slider, drop down menu, ads ready and more.